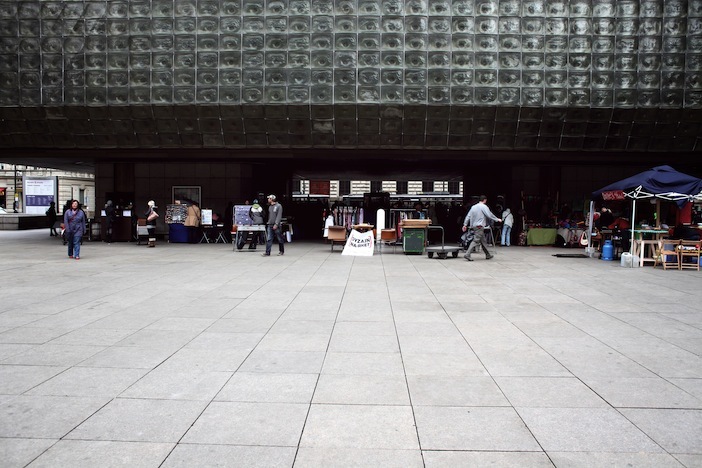 This is now a common place for design markets here in Prague. It's in the "backyard" of The National Theatre. The unfortunate thing about this one - the Dyzajn market - was the weather. It was sooo windy that everything were flying everywhere. All the designers had to hold their things and stands all the time.